This Eagle Scout Court of Honor Guest Page is available for IMMEDIATE DOWNLOAD! 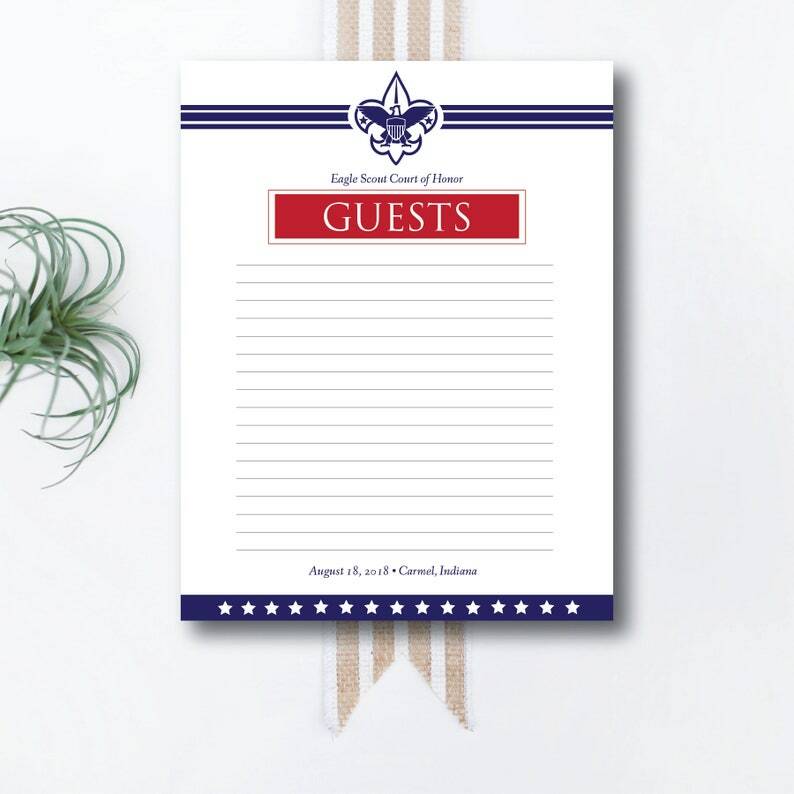 Keep track of all the guests at your Eagle Scout's Court of Honor with this printable Guest Page. Print as many copies as you need. Perfect! Just what I needed and just in time. You are a lifesaver. Thanks! This worked perfect for what we needed! Great communication!